Quick question: If you could only eat one food/meal for the rest of your life, what would it be? Without hesitation I can tell you that mine would be a peanut butter and jelly sandwich. Specifically creamy peanut butter and raspberry jelly on white bread (although I will accept wheat bread) and maybe a few potato chips thrown in there for some crunch. If you haven't tried potato chips in your pb&j, you should rectify that immediately. It's amazing. As you can see my love of peanut butter and jelly runs deep. 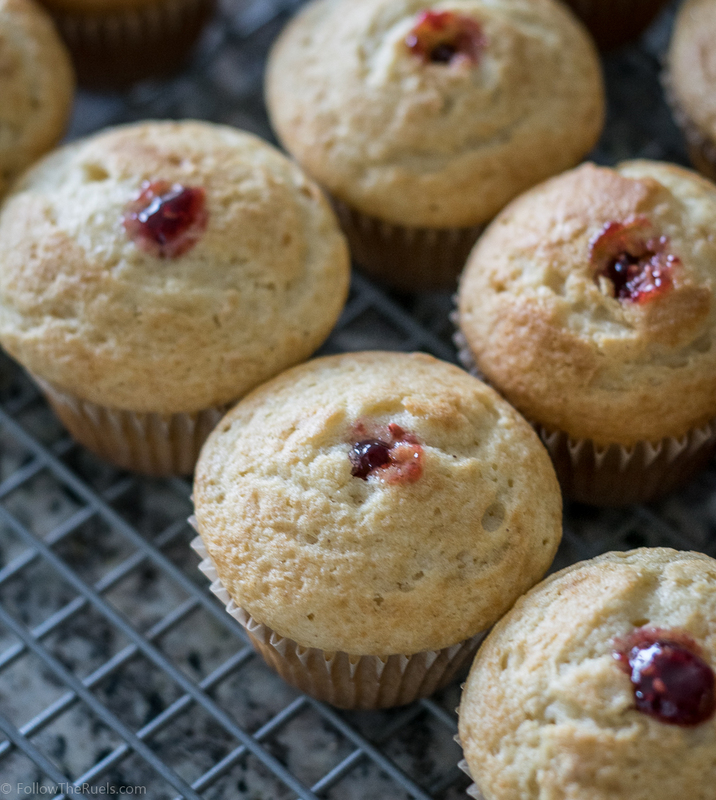 So when I was trying to think of something fun (and different) to bake for a work bake sale, I immediately thought of making peanut butter and jelly cupcakes. For the cupcakes, I started with a vanilla boxed cake mix and added some peanut butter powder so that the cupcakes had a little bit of a hint of peanut butter. Then for the jelly in this peanut butter and jelly, I piped some raspberry jelly into the center of the cupcake. I just used a sharp star pipping tip to punch through the top of the cupcake (but they also make piping tips just for this occasion). I will say, it was a little hard to tell how much jelly was getting piped in, so I watched the level of the jelly in the bag to make sure there was a healthy jelly filling. 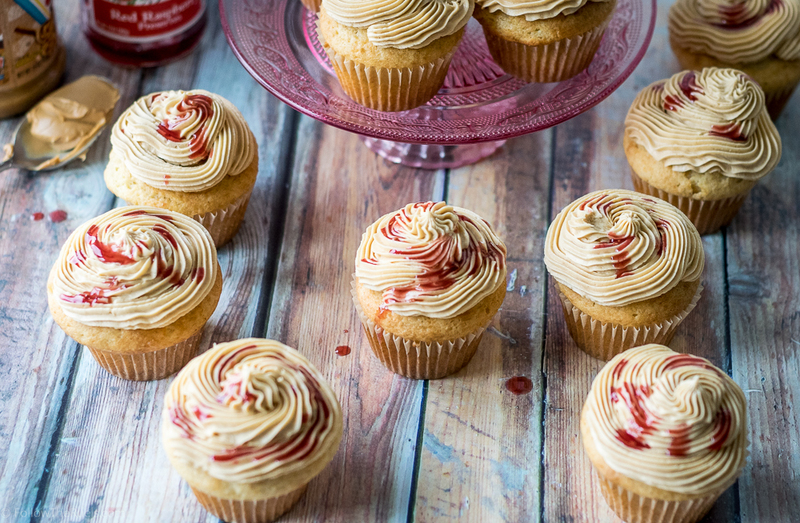 The last step, and the literal icing on the cake, is the peanut butter frosting. This stuff is amazing and basically tasted like the center of a peanut butter cup. How could that be bad, especially when it's combined with a delicious jelly filled cupcake? So when I originally made these cupcake for the bake sale I didn't actually eat them. I was doing the Whole 30 then so I made my husband taste test everything and make sure they were okay. I took them into work not really knowing if they were any good. The feedback was immediate. Within a couple hours I had multiple emails requesting the recipe. Clearly they were a hit so I knew I had to make them again once I was off the Whole 30. Even though each individual piece of these cupcakes is nothing special (except for that icing - I could eat it slathered on some cardboard), the whole cupcake together literally tastes like childhood. If I close my eyes I can picture 9 year old Lindsey eating a pb&j at the lunch tables at school. In a large bowl, sift cake mix and peanut butter powder. Mix in remaining ingredients until everything is combined. 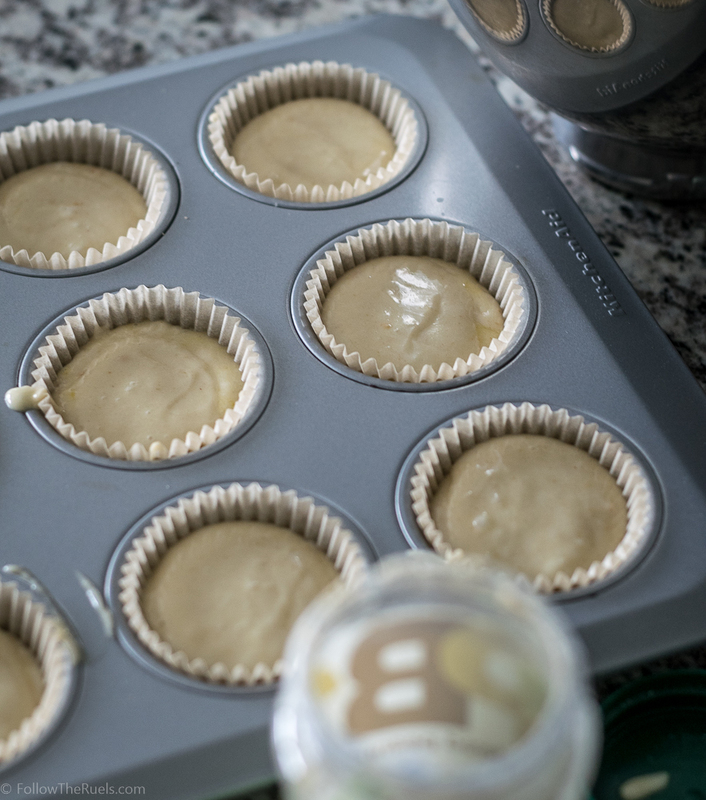 Spoon about ¼ cup of the batter into each muffin tin and bake for 15 to 20 minutes, or until a toothpick comes out clean. Remove from oven and set aside to cool. While cupcakes cool, fit a piping bag with a long piping tip and then pour in jelly into piping bag. Pipe about 1 tbsp of jelly into the center of the cupcake. 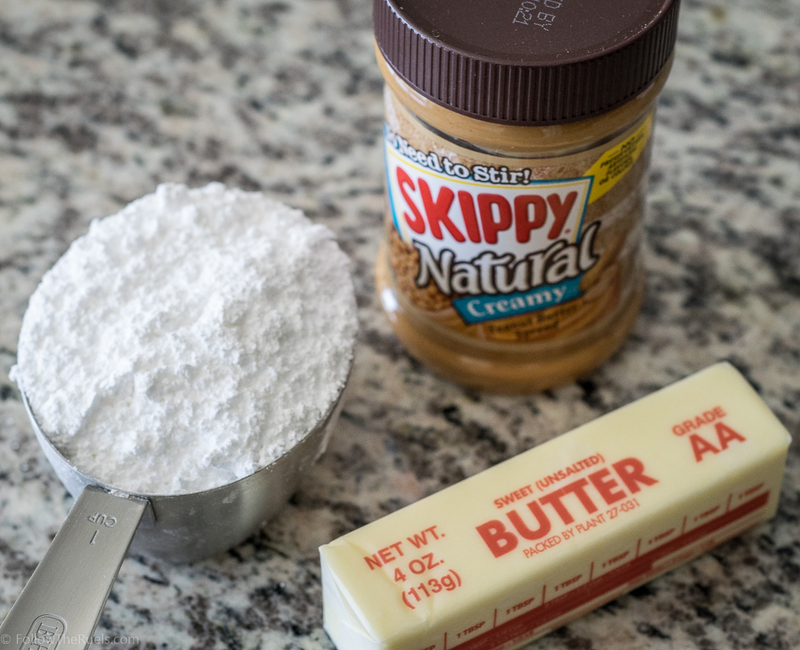 To mix together the frosting, whip together the butter and peanut butter. Slowly mix in powdered sugar and peanut butter powder. Add in vanilla and then mix on high until frosting is light and fluffy. Pipe frosting onto the top of the cupcake by piping around the outside and spiraling in towards the center. Do not substitute margarine for the butter in the frosting recipe. It will make the frosting separate and become oily. If you don't want to use butter, you could use cream cheese instead.